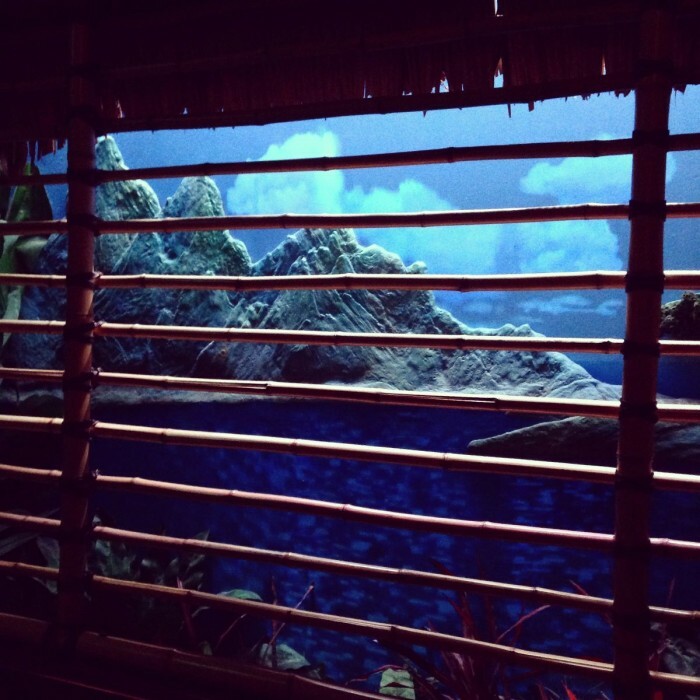 Known for its trademark tiki mugs, one of the most popular drinks at Trader Sam’s Grog Grotto is the Polynesian Pearl. Ingredients: RumChata Cream Liqueur, Grand Marnier, and Cinnamon with Tropical Juices. 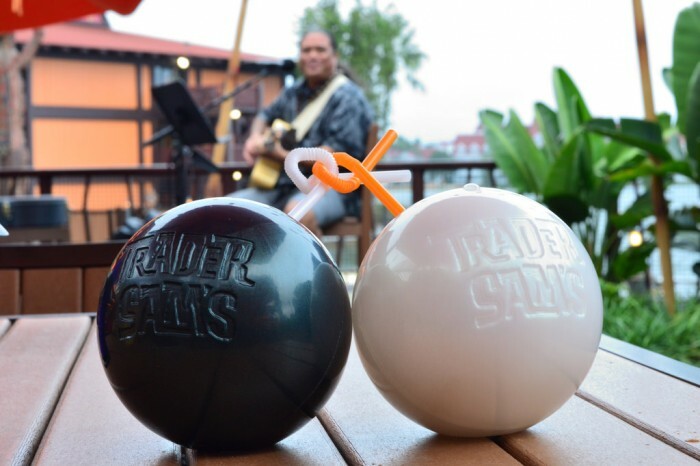 The Polynesian Pearl is traditionally served in its white pearl form, but there have been special occasions in which the rare black pearl makes an appearance at the Grog Grotto (including most recently Halloween and Black Friday). While the Polynesian Pearl is plastic (all other souvenir mugs at the Grotto are made out of glass or are ceramic), its design is so wonderful that it doesn’t matter. 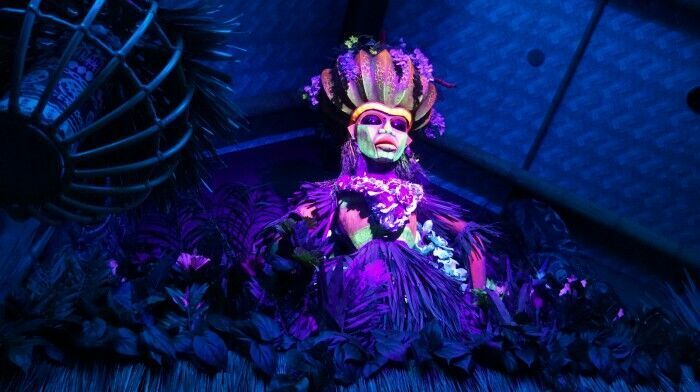 Trader Sam’s Grog Grotto is located at Disney’s Polynesian Village Resort. 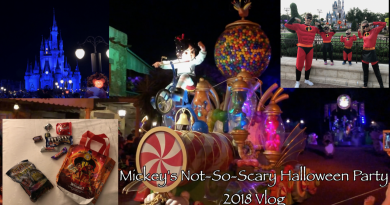 It is a true experience and like no other bar at WDW. The Grog Grotto opens at 4PM and all ages are allowed until 8PM when it becomes 18 and older. 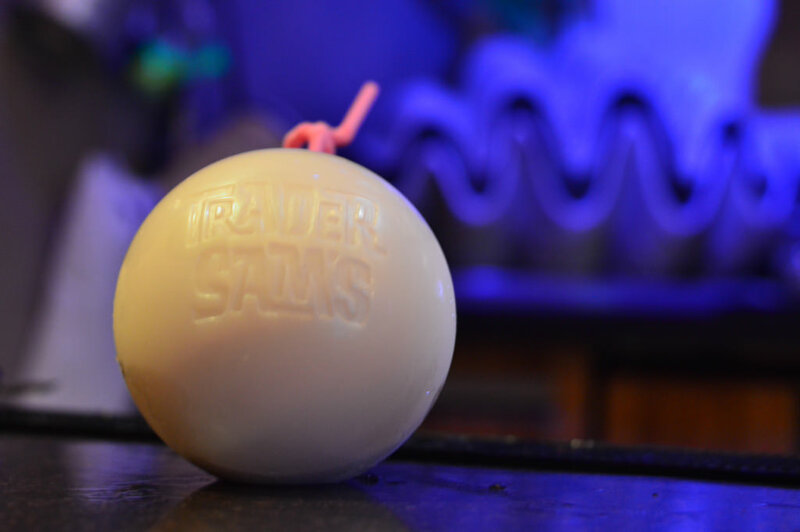 Be prepared, there may be a wait to get into Trader Sam’s, but you’ll be able to wait and enjoy a drink at Trader Sam’s Tiki Terrace outside. But why not glow cubes? I usually go for whiskey, so I understand the existential crisis that glow cubes bring to people old enough to drink alcoholic beverages, but there are exceptions. The Krakatoa Punch is tasty and made with very good quality rums. And the souvenir tiki mug is great…heavy duty and funny too. You bring up an interesting point Katelyn. Maybe an exception or two can be made. There have also been recent examples of when Disney made up an interesting glow cube (such as a Death Star for Star Wars Weekends.) We shall investigate this further and consult the Blue Ribbon Panel that decides the rules for the 25 Drinks of Christmas. I may be in the minority, but I prefer plastic souvenir cups so that I can use them as around the pool at home. I do hope you will be including in your list, our personal favorite: an Ugly Stepsisters’ Bloomers. Delightful concoction of brandy, Cointreau, sugar in a china teacup wrapped in a mauve ribbon. Well, yes, my plastic DCL souvenir glass is one of my most treasured possessions.